In order to create the actual formula that match with marketing requirements and regulations, teams create several tests and prototypes. Each of them are handled differently and are associated with multiple documents and data – often more than an hundred. 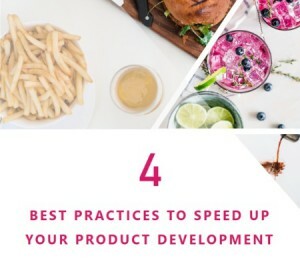 With an increasing amount of data, collecting information and tracking prototypes evolution can quickly become a nightmare for teams. In addition, they have to manage the raw materials database that includes supplier’s management. They have to choose and compare all suppliers’ proposals based on marketing requirements and costs. Data and documents linked to raw material specifications must be stored and updated. 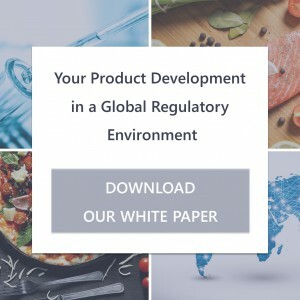 The formulation process implies to take into account many requirements such as the marketing brief, quality expectations, compliance, and costs constraints. Indeed, the marketing brief gather all the information on the future product requirements such as its function, texture, color, smell and as many details as possible for the R&D team to create the right formula. With Lascom PLM, the marketing brief is directly filled, using pre-defined templates, and stored directly in the platform allowing faster data retrieve and collaboration. Every data and document related to the raw material is centralized within the PLM. Each raw material has its own datasheet that follows a pre-defined template and includes all the needed information such as its name, supplier, composition, allergen list, its Safety Data Sheet, etc. Documents and data are structured and automatically updated when any change is made. 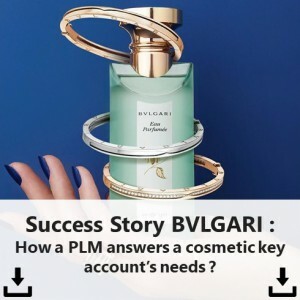 With its web-based formulation tool, the PLM allows to create new formulas based on marketing requirements and regulations enforced. Formulate has never been that easy thanks to raw materials’ information centralized within the solution and automatically take into account during the formulation step. The platform enables the R&D teams to create, modify, or update formulas and simplify prototypes or variants creation by using existing formulas. Directly calculate the quali/quanti formula using the calculation tool that will automatically warn users if formula is not respecting pre-defined rules – regulations, thresholds, allergens, etc. If the formula does not match requirements and pre-defined rules, each non-conform raw material will be highlighted and reasons will be given. Formula adjustments are made easier and directly from the formulation stage to save time and minimize errors. In addition to substances percentages calculation, the formulation tool provides real-time cost estimation for the entire formula but also per raw material. Costs are automatically updated if any change which allows to adjust the formula accordingly and all in real-time. In addition to create the formula and prototype, automate manufacturing process management thanks to the PLM. Information and documents – guidelines, description, etc., related to each machine are structured and stored within the platform using pre-defined templates. When creating the product, manufacturing process information is automatically and easily retrieved to ensure substances combination is respected. Generate the manufacturing process summary document automatically to share with production. Once the formula has been creating, prototypes can be easily shared for comparison and approval. Back and forth between teams are made easy and quicker within the platform directly. Lascom PLM offers additional prototype management features, including customizable workflows to speed up the validation process. It lets you define the steps of the workflow required to approve a prototype. The unique database, version control and workflows provide informed decisions and use of accurate information, hence leading to a quick decision-making process. Track and version control the different products that will be created. When a modification occurs on one product it can affects several products. That is why, Lascom PLM, allows to create a new version each time that a change occurs on the product or on the raw material. this leads to a new version. A complete new copy is created and classified (identification form, chapters, etc.) for a better traceability and products portfolio management. Thus, changes made to a version do not alter data of the previous versions. 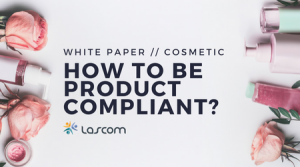 Learn more about Lascom PLM and how it helps businesses optimize their entire formulation process. 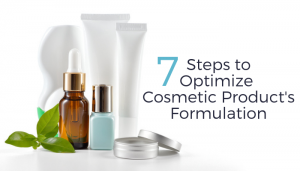 Share the post "7 Steps to Optimize Cosmetic Product’s Formulation"